How Far is Urban Awesome? Destined in the heart of Thiruvanmiyur, Chennai, Urban Awesome has set a very high standard in the industry, with its alluring infrastructure and luxurious apartments. 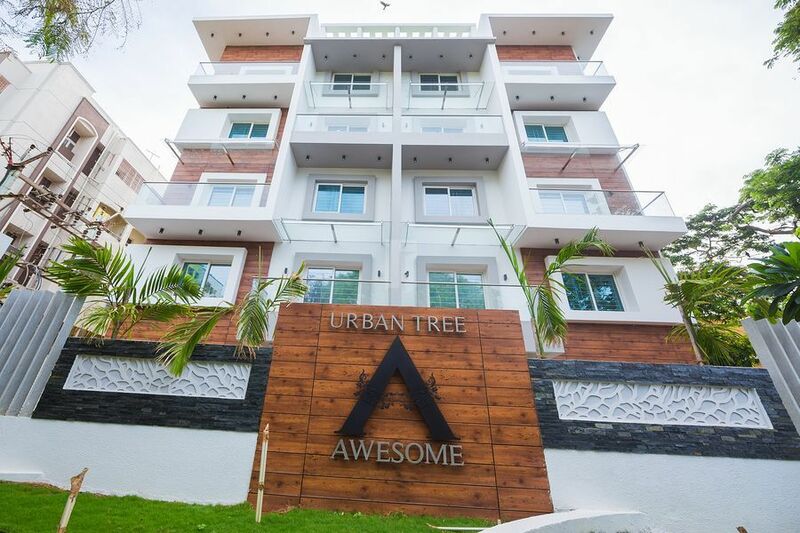 Urban Awesome has been developed by the top builders in Chennai, Urban Tree Infrastructures group. This magnificent abode of luxurious apartments offers you innovative 3BHK apartments for sale in Thiruvanmiyur with a dimension of 1975 - 2015 sq. ft. which are well - equipped with world class features and top-notch facilities. These apartments are just perfect for a premium lifestyle and offer you a comfortable and elegant living experience. Urban Awesome is thoughtfully designed to cater to a class of people who seek an exclusive lifestyle and a modern home, it has innovative and unmatched designs. Each storey has only two apartments and they have got well - ventilation and have ample natural light. It is surrounded by a peaceful and serene environment, letting you breathe fresh air and indulge in a very relaxing surrounding. Located in Thiruvanmiyur, a stone’s throw away from a major junction at one side and OMR on the other. Dotted with the finest schools, hospitals, public parks, shopping malls and other civic utilities. Urban tree being one of the distinguished builder in Chennai, has developed projects around the corporation limits. The builder is also known for many of his classy projects, Urban tree is more concentrated in developing Ecosystem balanced projects. They ensure your investment is transparent & trusted making it a sweet home in every way. Urban Tree Superb an under-construction project developed on a DTCP approved Layout built with 1,2,3 BHK apartments each placed with luxury plans under a load of amenities to be unloaded. Their step-by-step buying and loan eligibility process makes investing a home a dream come true. The builder has developed some of the eminent projects namely Urban Tree Wow which is widely expected by the Chennai people. The builder is known for developing budget homes with lots of amenities which are green certified buildings. Urban Tree Infrastructure P Ltd project is truly versatile in every way. Urban Tree Oxygen one of the Ready to Occupy projects by the builder placed in a peaceful setting of Perumbakkam, Chennai. The apartment was one of the best options to choose for real estate investing. · Luxury Homes in Prime locations at Affordable prices. · 100% Transparency - No Hidden Charges. · Regular Customer Meets Every Quarter. · Green Homes for Healthier living. · Monthly News book with regular updates. · We pay if we delay. · Urban Tree Management has ensured that the quality policy is identified through our Vision to Excel. · Total Commitment to customer satisfaction. · Excellence through continuous improvement. · Compliance with Regulatory and Statutory requirements.